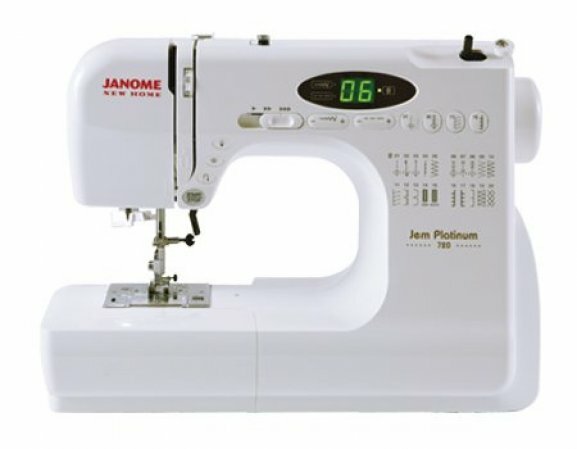 The Janome New Home 720 contains all the great features of a full-size machine, with a smaller model’s price and efficiency – making it the ideal starter model for beginning sewists or travel machine for classes and guild meetings. This 3/4 size machine weighs just 12 pounds, but packs the full weight of other computerized sewing machines, incorporating advanced controls and a wide range of everyday functions. Its advanced features and compact design make the JNH 720 an ideal travel machine for quilters.